A few weeks ago I went to Osaka. It wasn’t my first time in Japan, so I wanted to make this trip a little bit different. So there were no walking tours, no museums and no cafes. 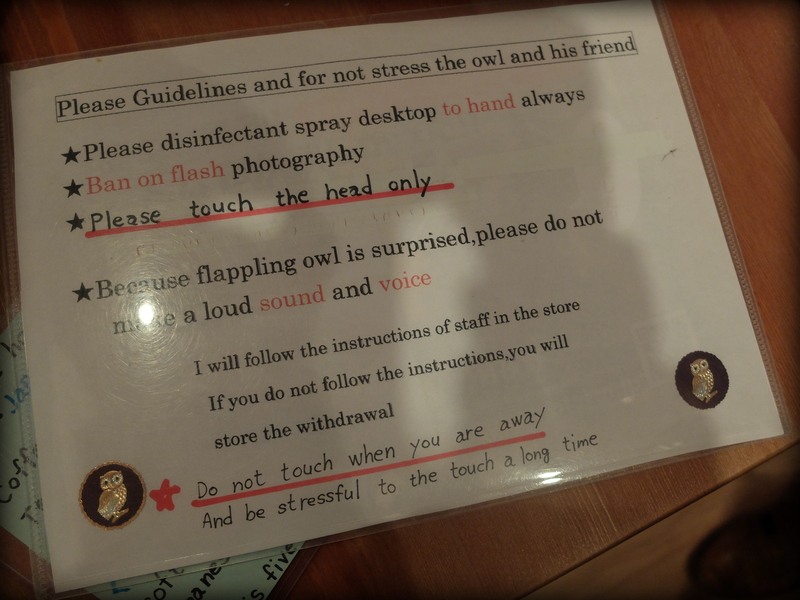 Well, apart from an owl cafe. 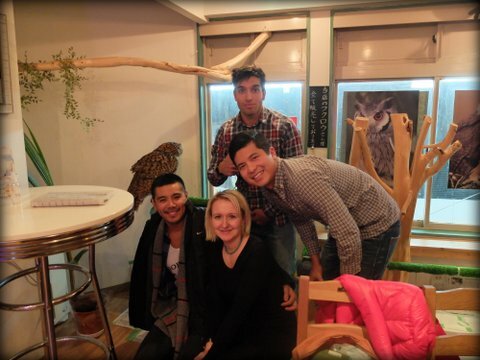 So now, I’ve been to cat cafes, sheep cafe and was curious to find out what an owl cafe was all about. There wasn’t much information in English on the flyer, so I was off to find out. Going to cafes like that solo is okay, but lucky for me my random travel companions decided to join me. I don’t think they knew what they were getting themselves into, to tell you the truth. 🙂 It took a while to find it, just because it is not exactly a mainstream place to go to. Located on the second floor of a tiny building, just off the main promenade, the cafe is not exactly huge, and there is a charge of 1,000 yen to get in. 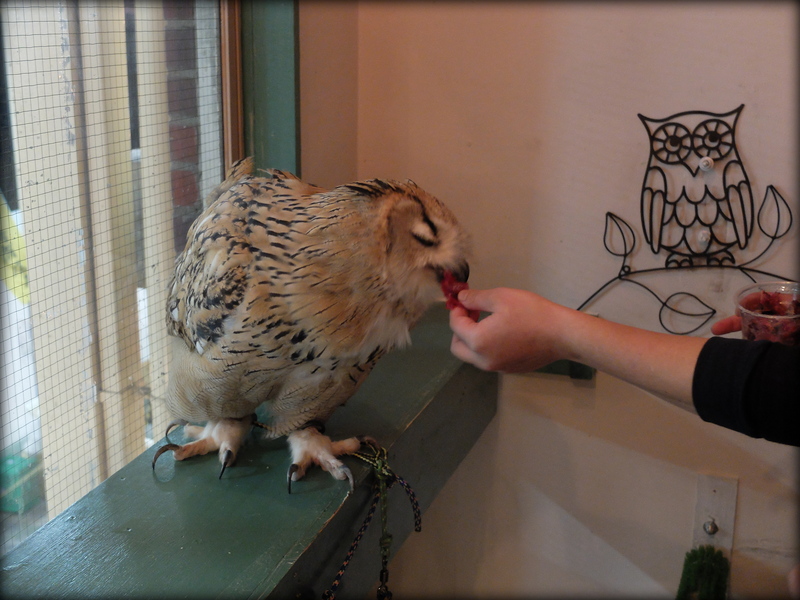 This will get you a hot drink (mine was a terrible, terrible black coffee) and an hour to hang out with funny creatures. Although fascinating, all four of us felt terrible for the birds. 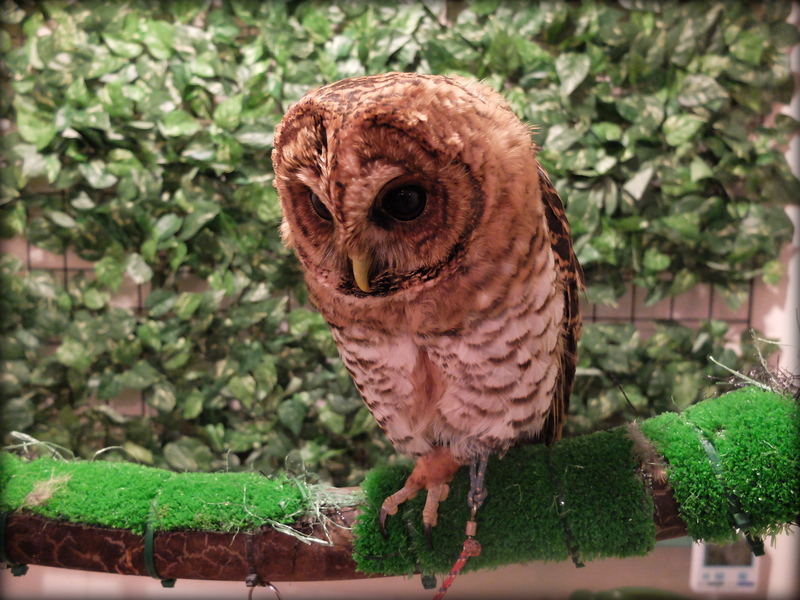 You could pat most of the owls, apart from the massive male owl, which didn’t look particularly friendly. If you come in the evening, and get lucky, you can be there for the feeding time (yes, small mice and bits of raw chicken were on the menu). 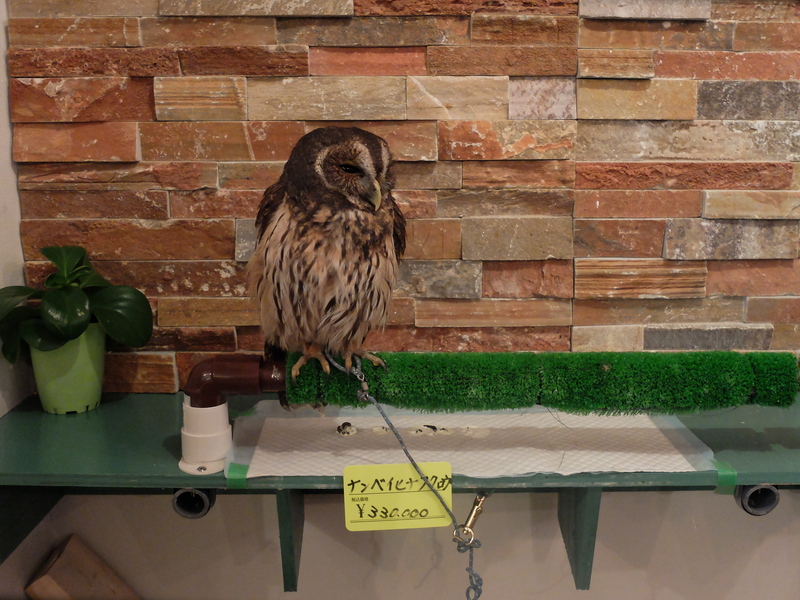 Staff didn’t speak much English, but from what we understood, the owner of the cafes, is also the owner of all the birds, because he likes them. 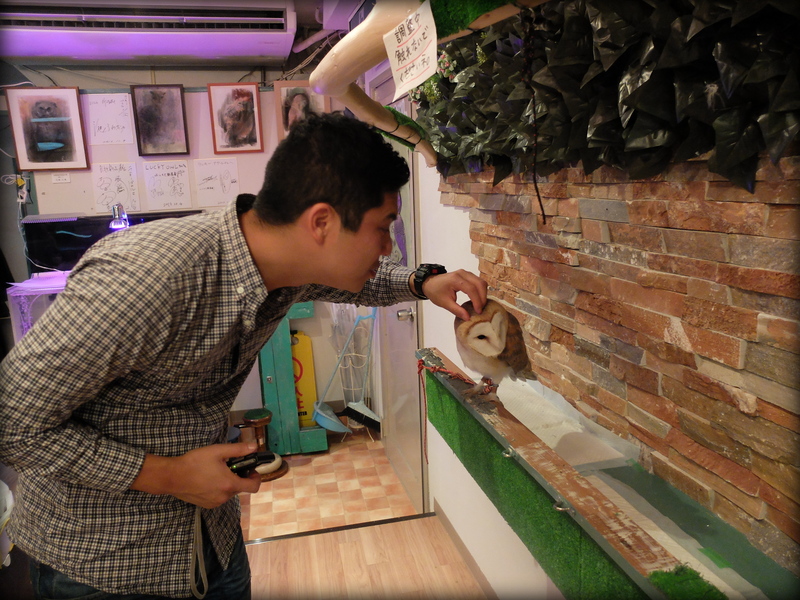 So he likes cafes and owls, why not to open an owl cafe, right? 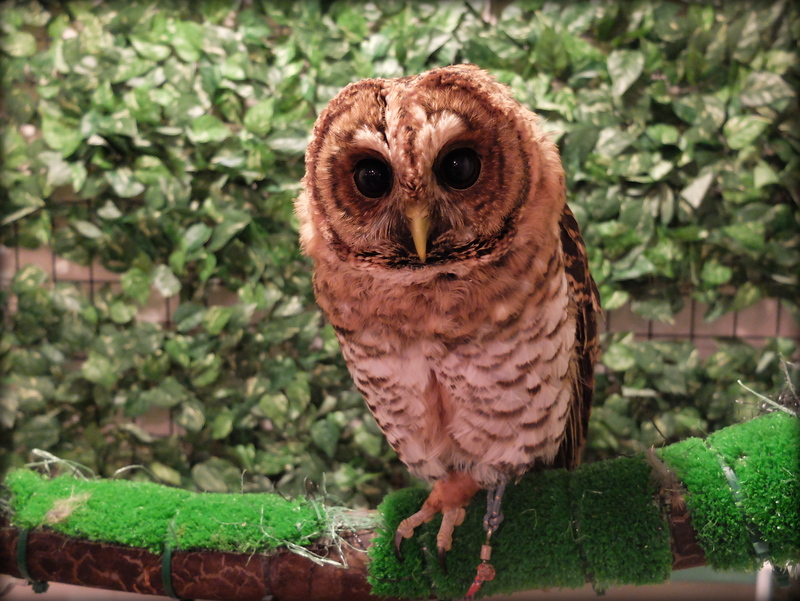 Some owls are available for sale for just over 300 dollars. Any takers? 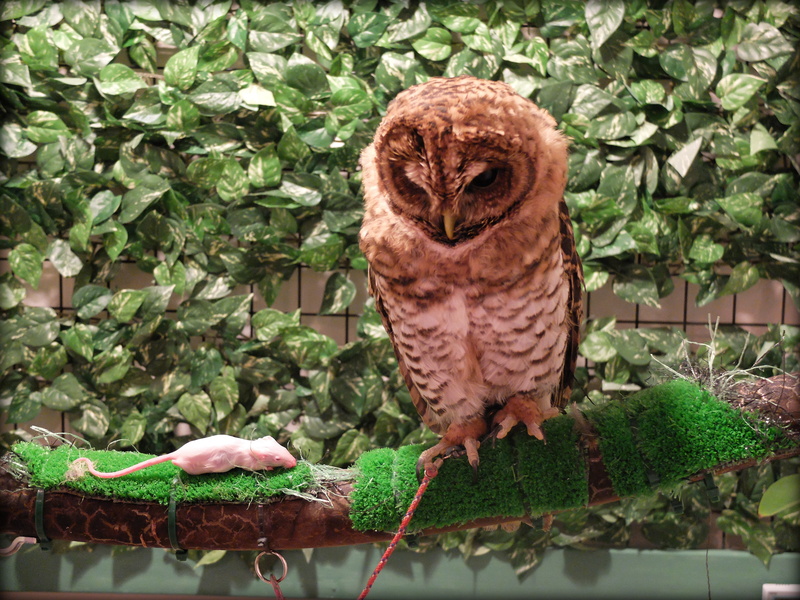 Not sure how the birds stay awake during the day, but this place was a nice change from the usual city attractions.